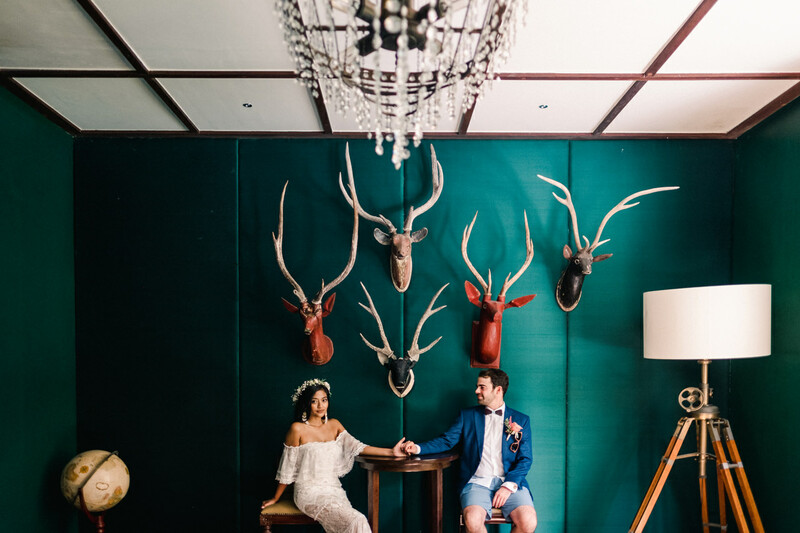 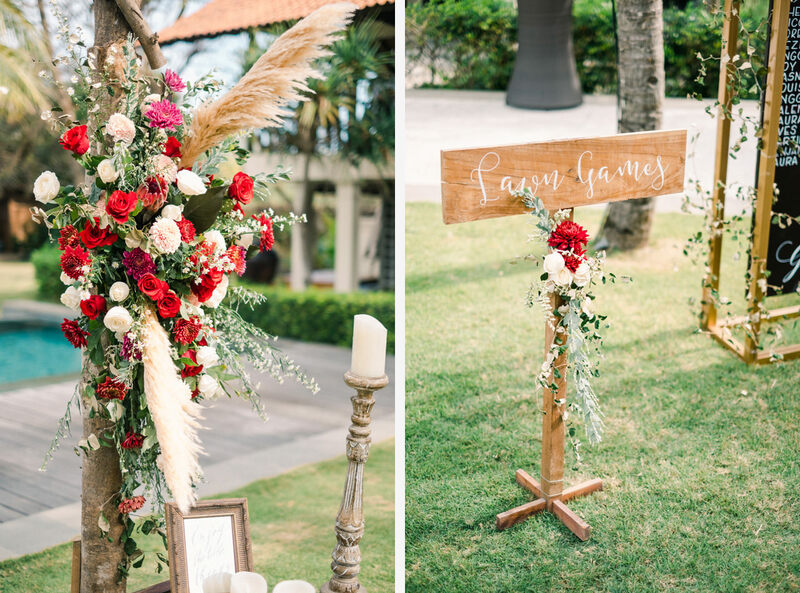 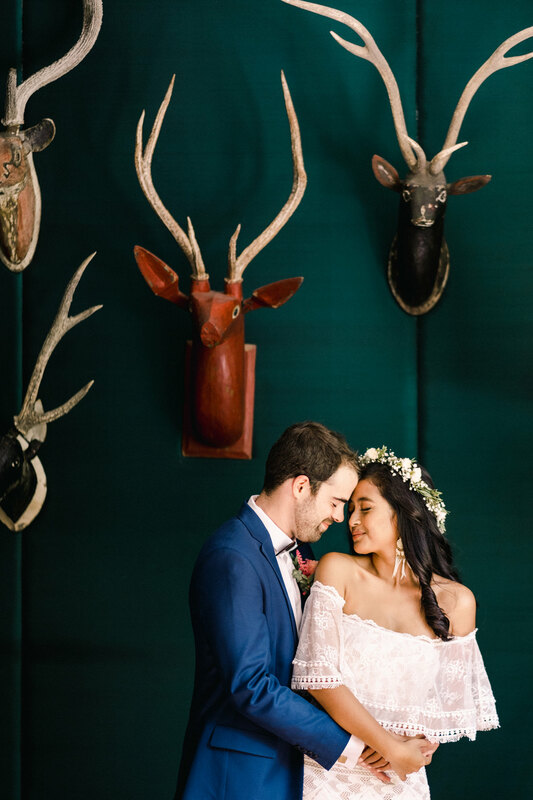 They consistently decorate their bohemian wedding with an earthy elements, rich colour palettes, textures and movement with symbolism scattered throughout the event that represents them. 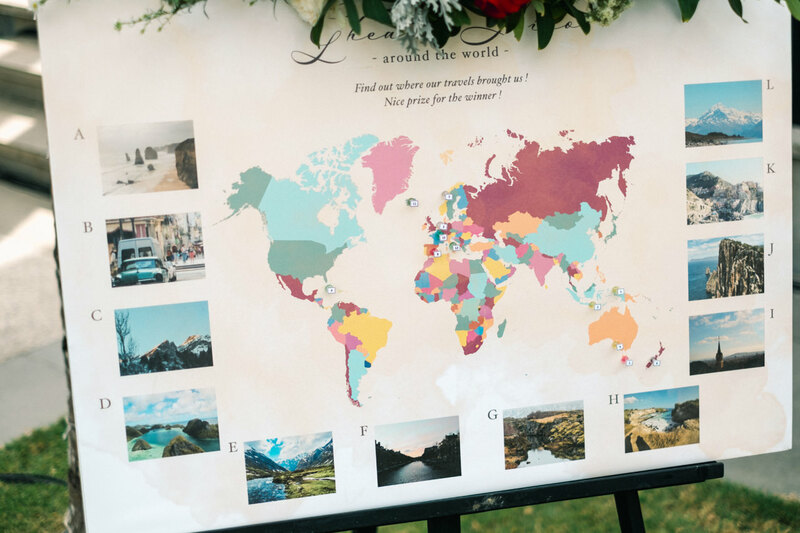 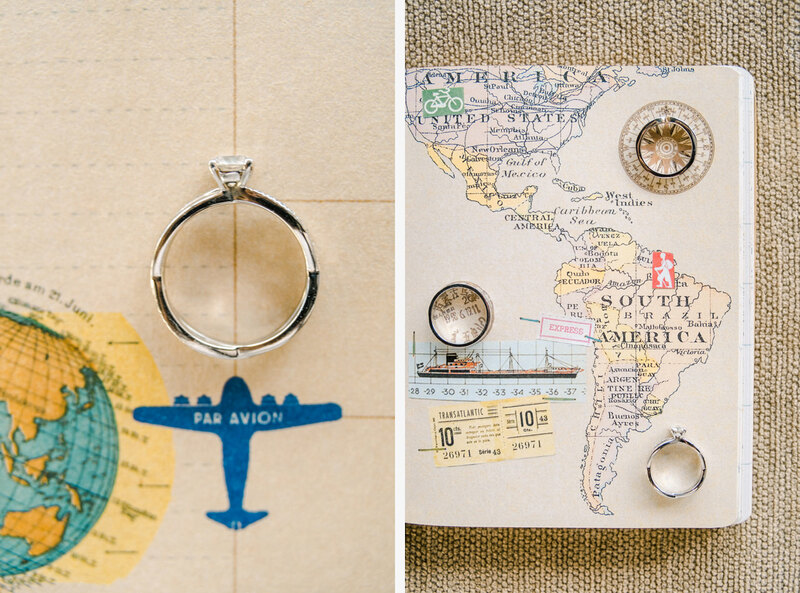 As the couple are a travel junkies, they also managed to add their travel stories into the DIY board and used it as a game! 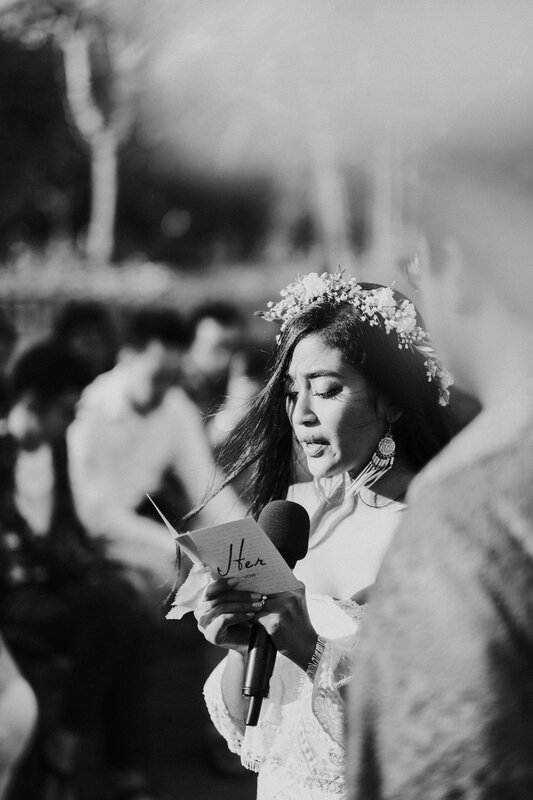 So talented! 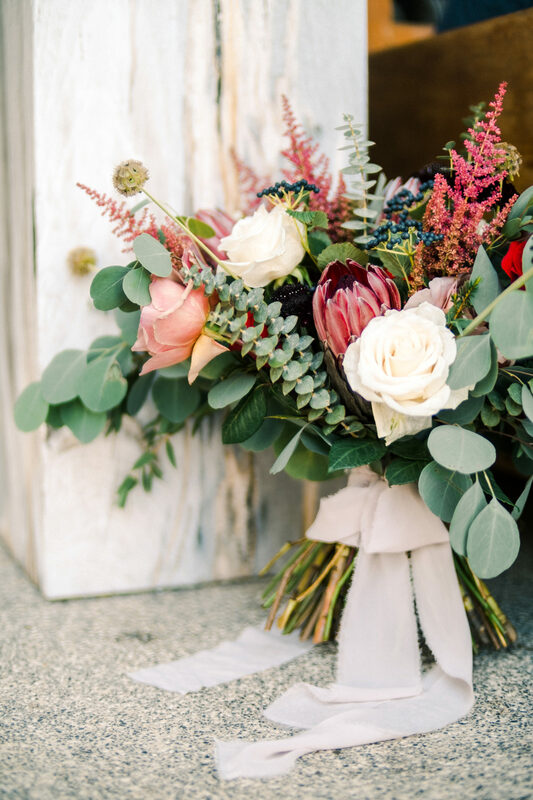 This bohemian bridal bouquet has oversized flowers, in a cascading shape, and each flower is chosen for a special meaning, making a bride’s bouquet more personal. 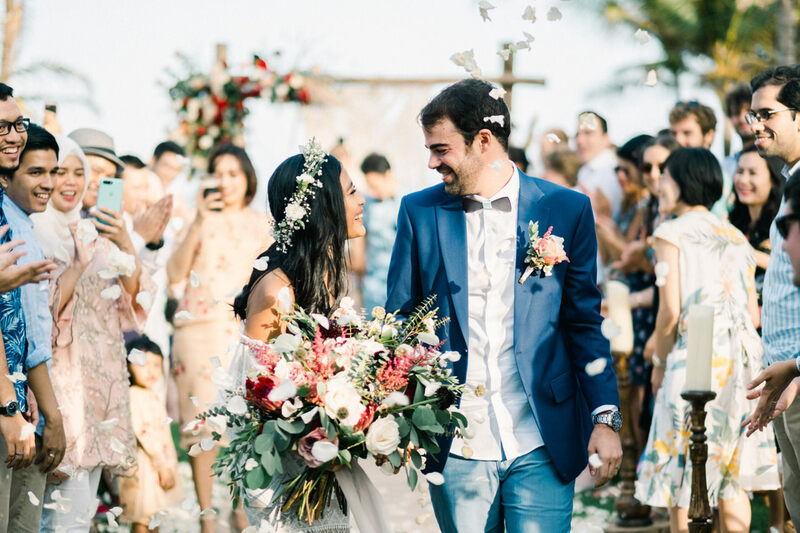 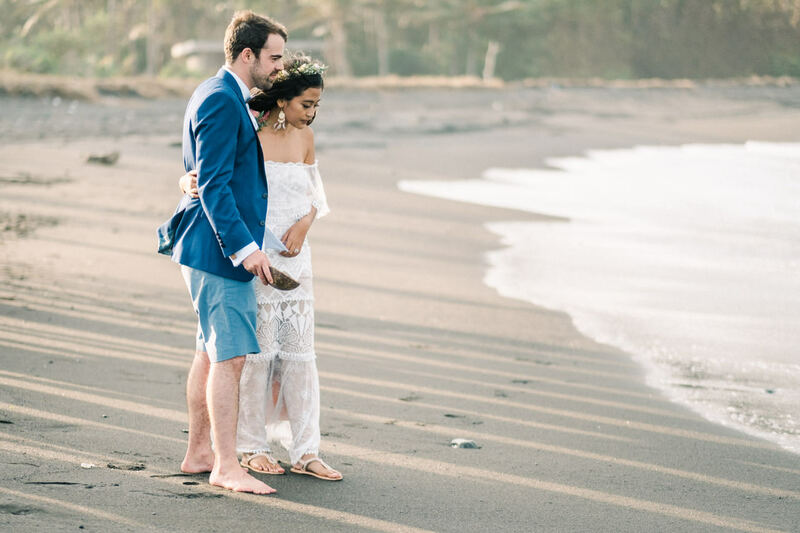 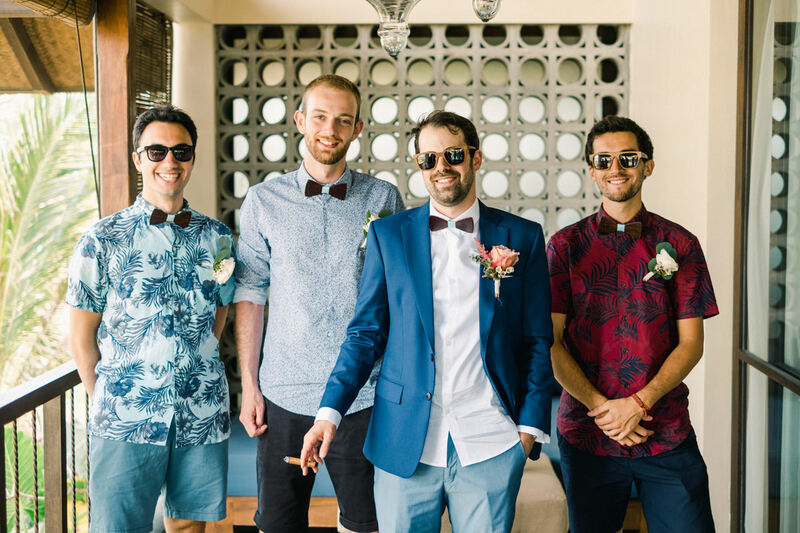 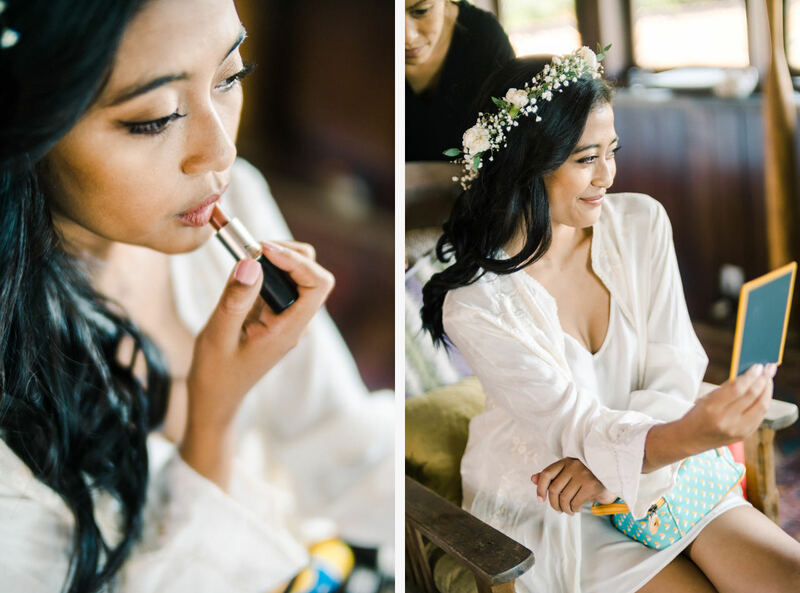 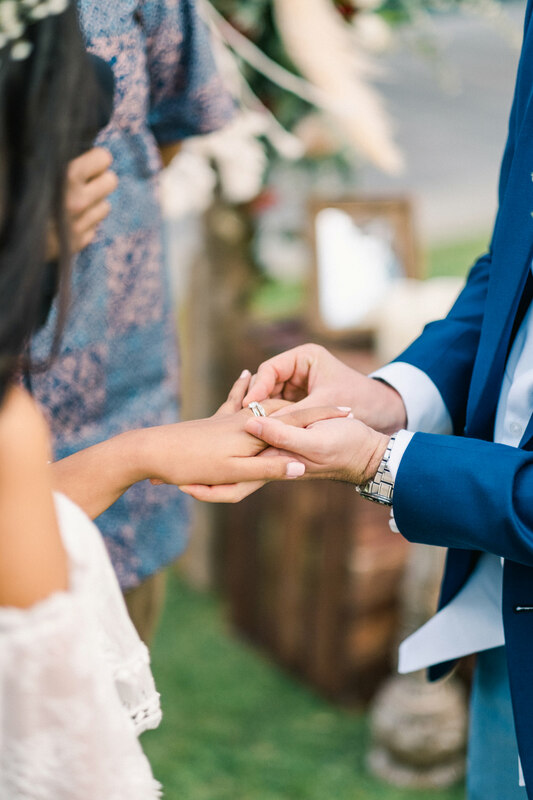 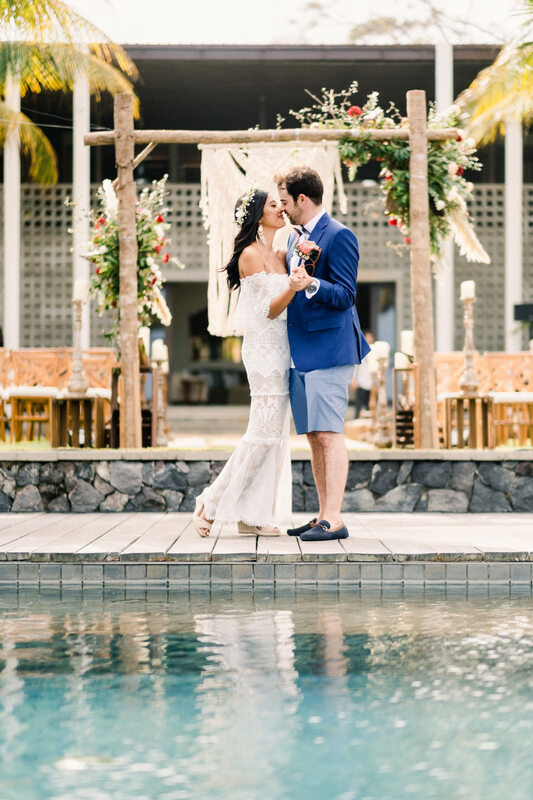 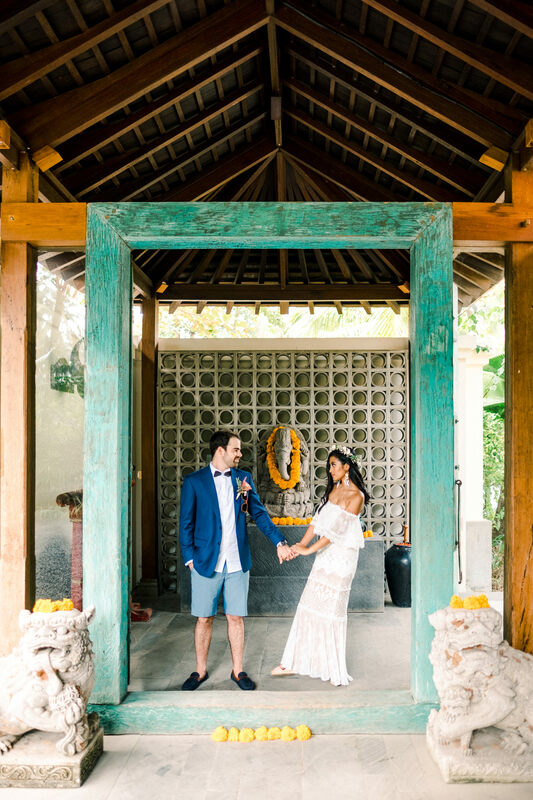 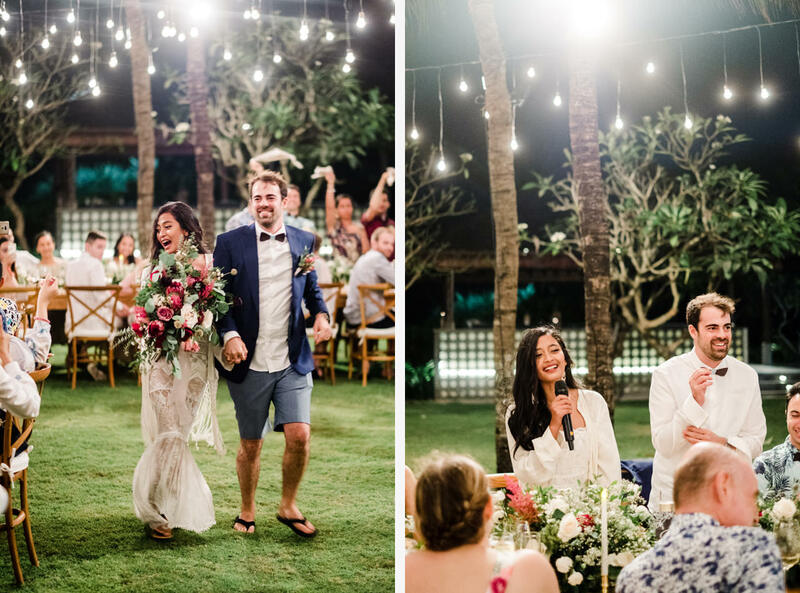 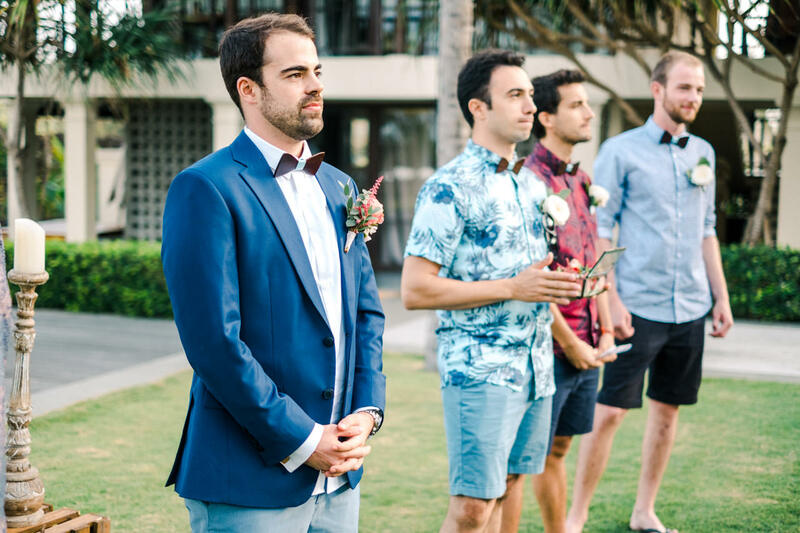 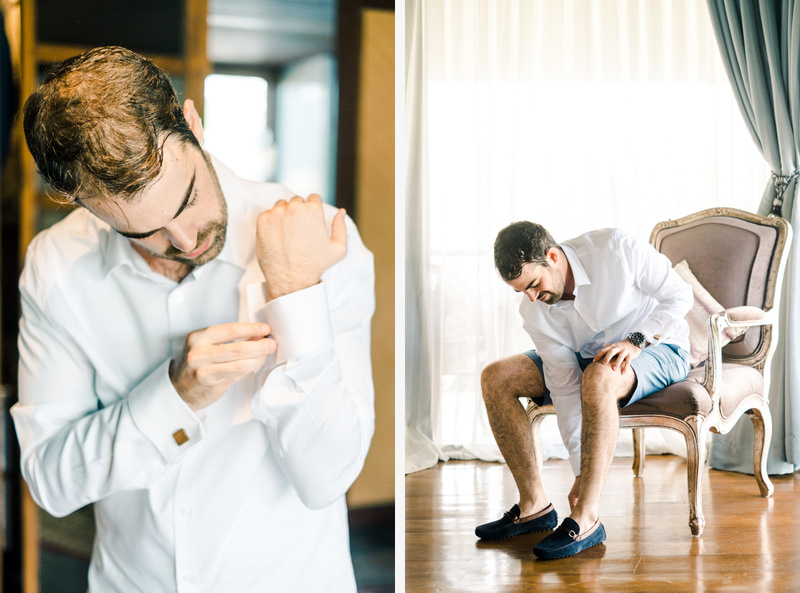 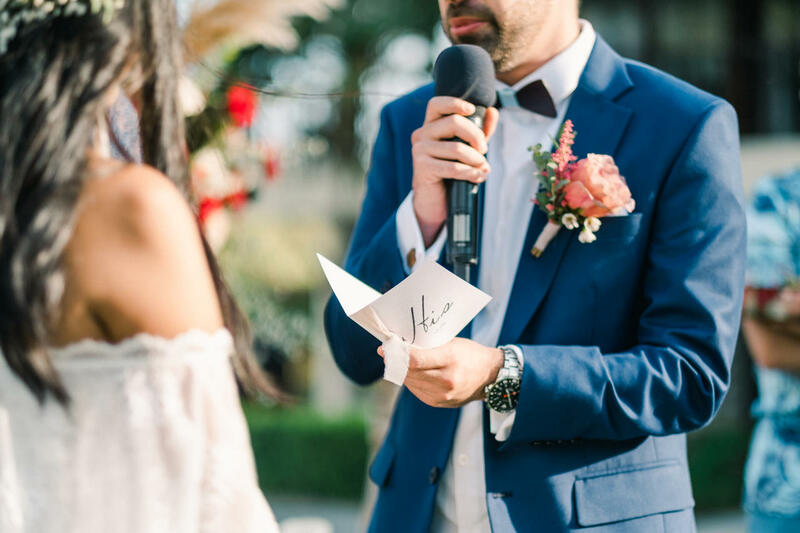 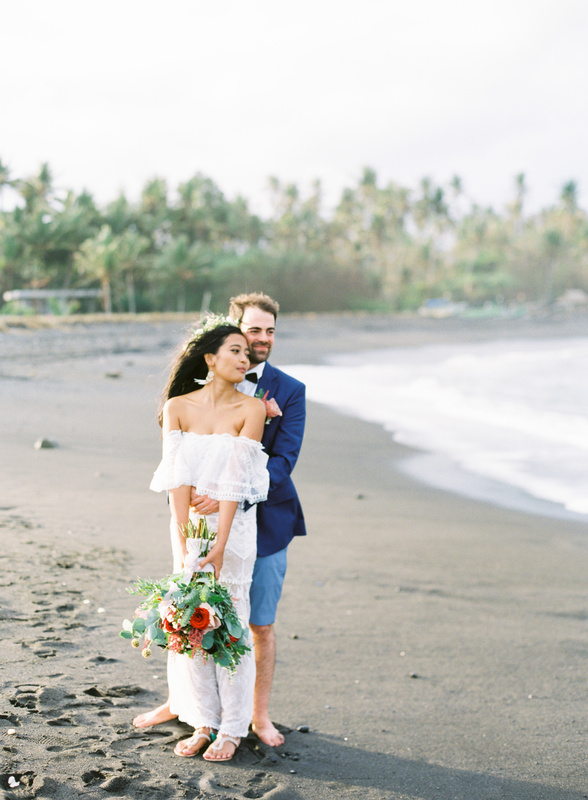 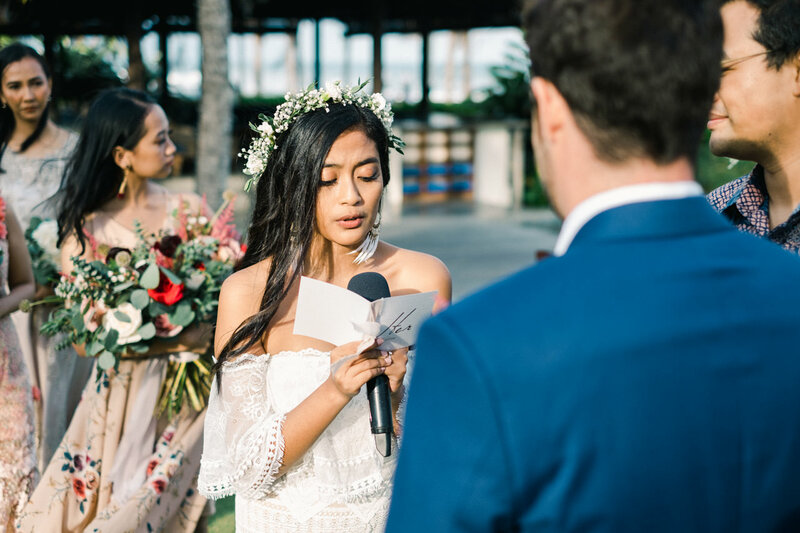 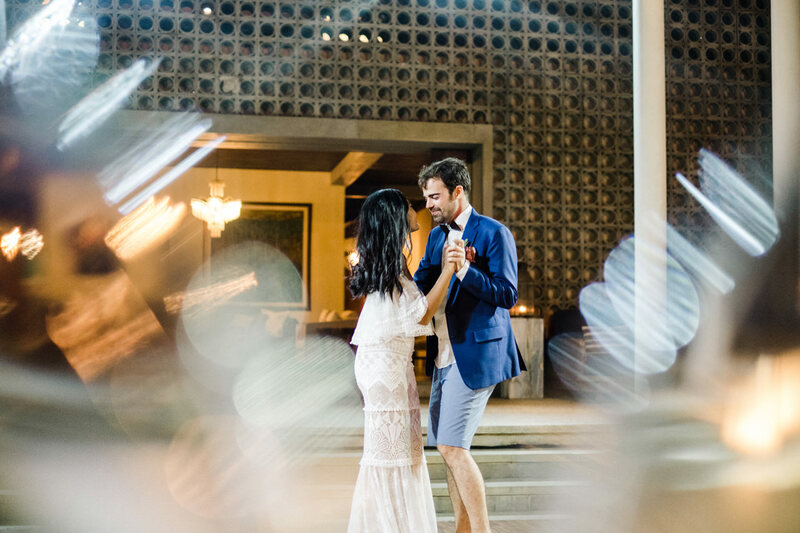 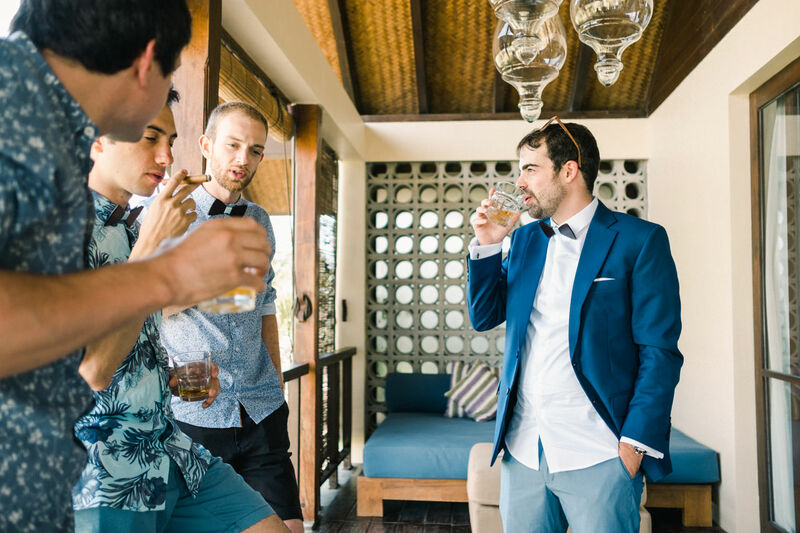 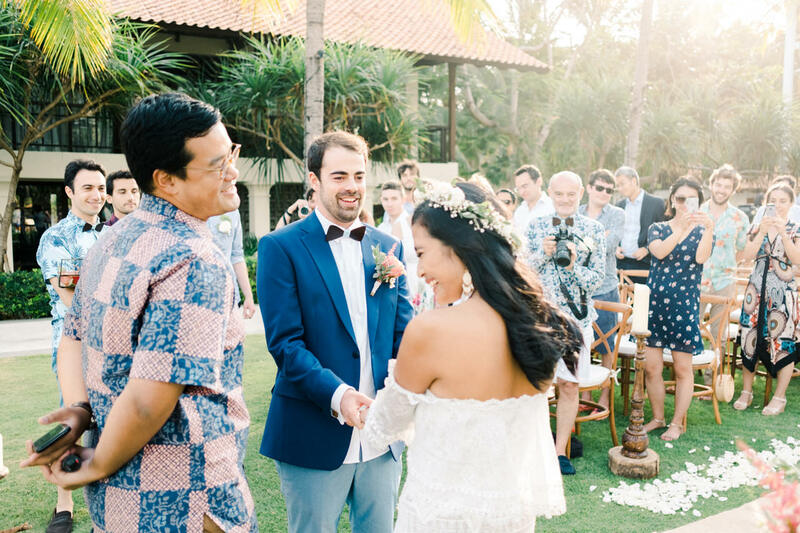 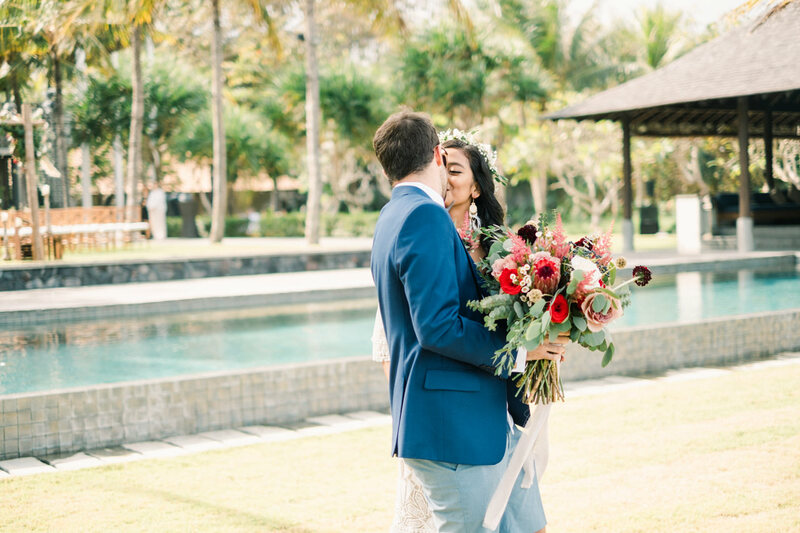 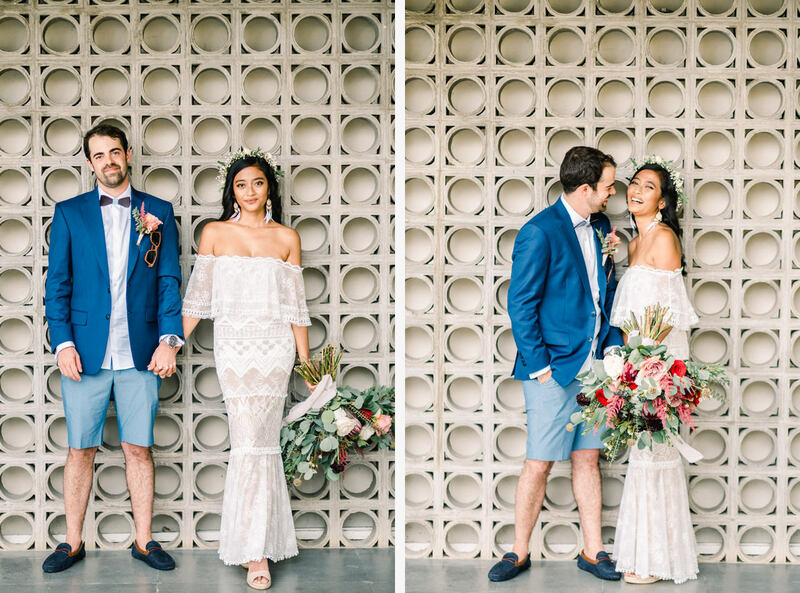 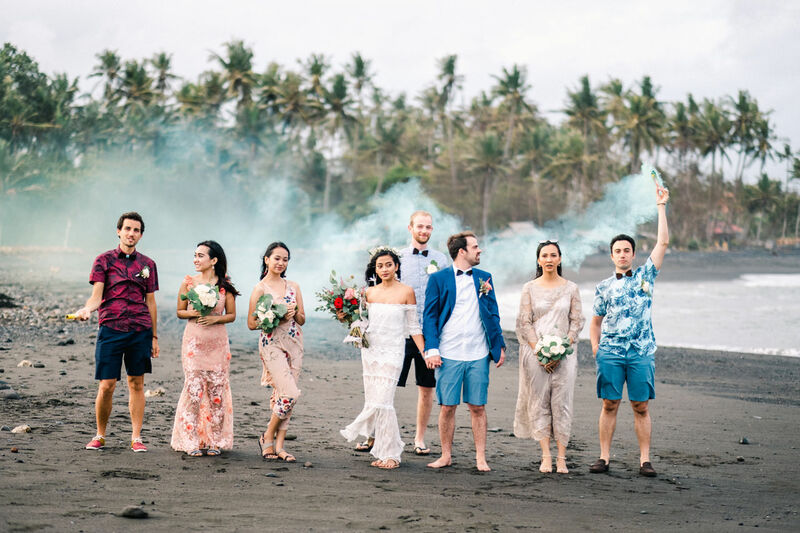 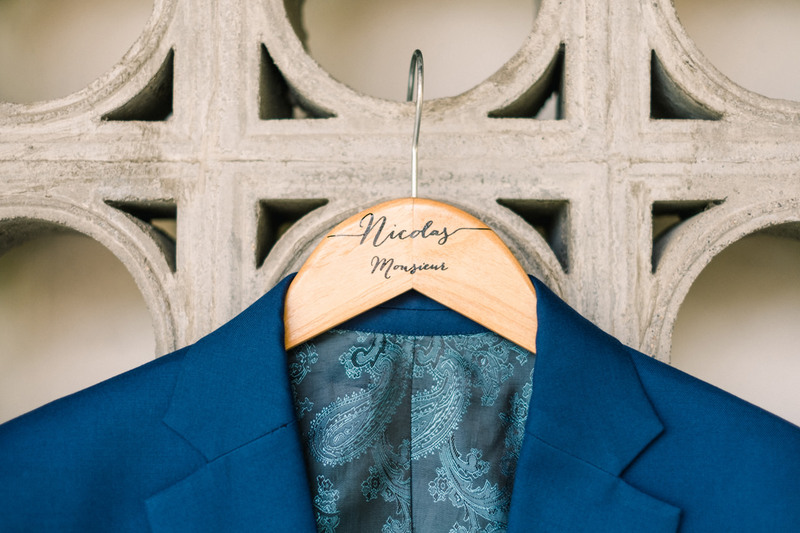 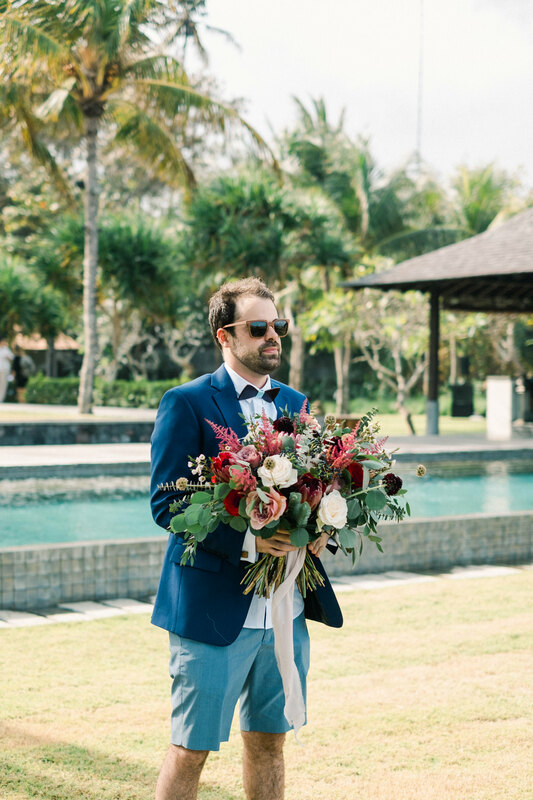 The bride looked stunning in a off-the-shoulder lace gown, beachy boho curls, and sun-kissed makeup, while her groom was totally casual in a classic blue suit, short and hand-made wooden tie. 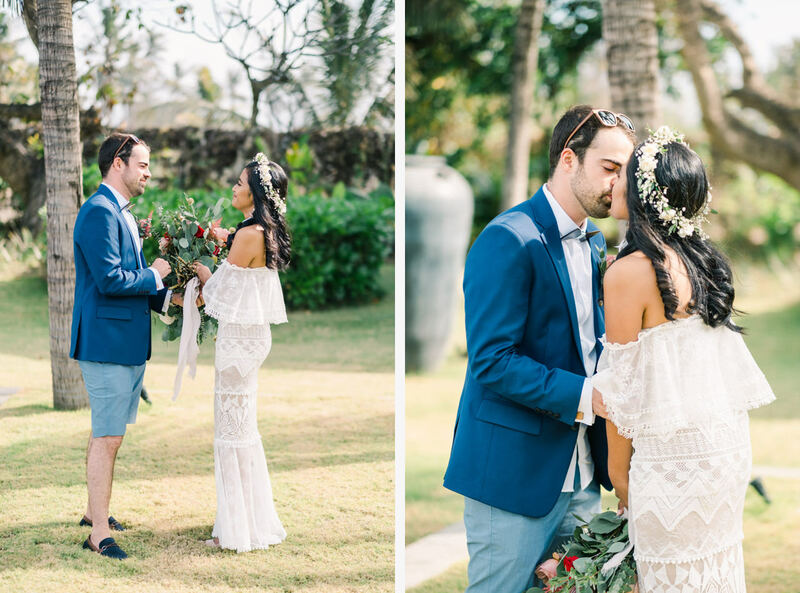 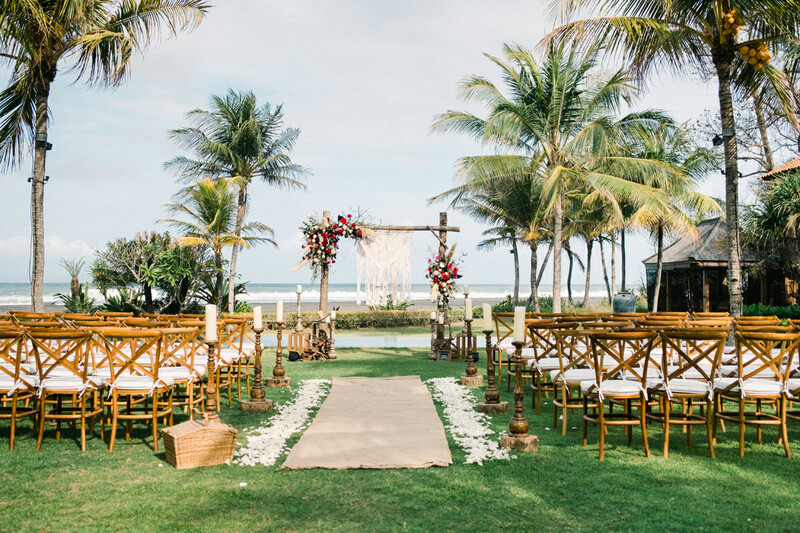 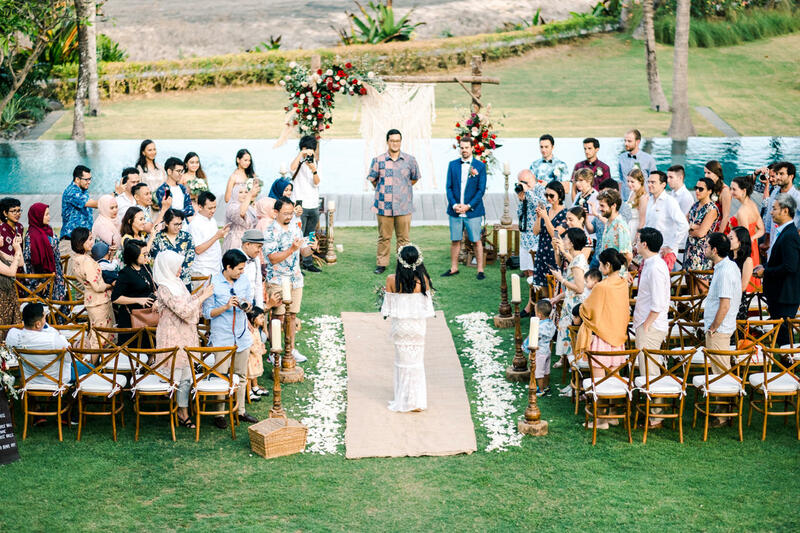 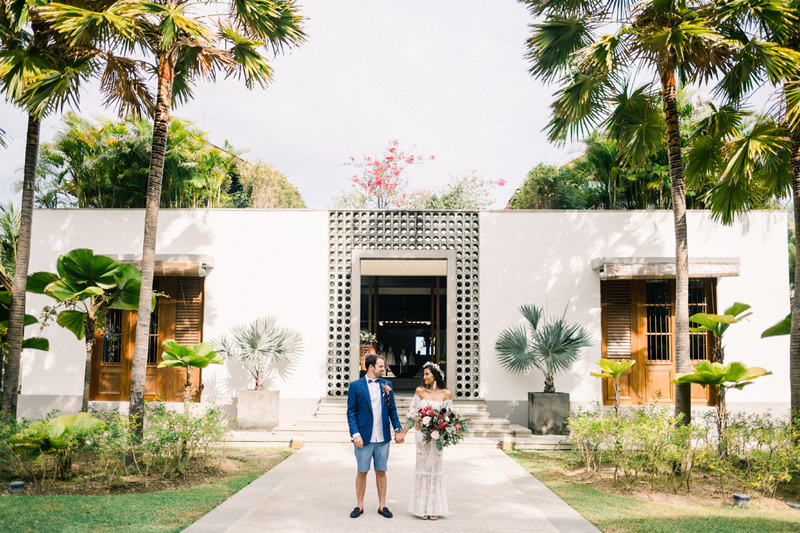 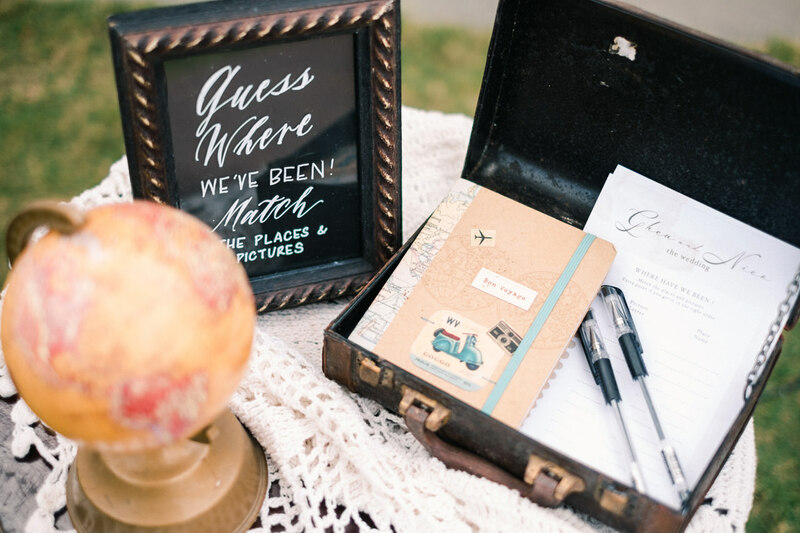 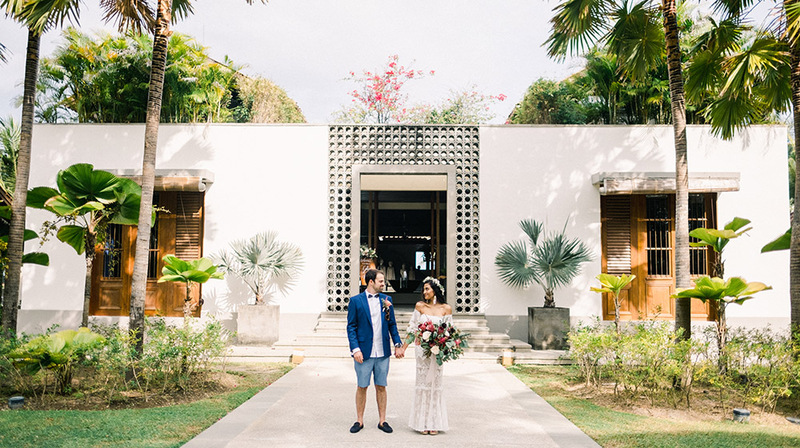 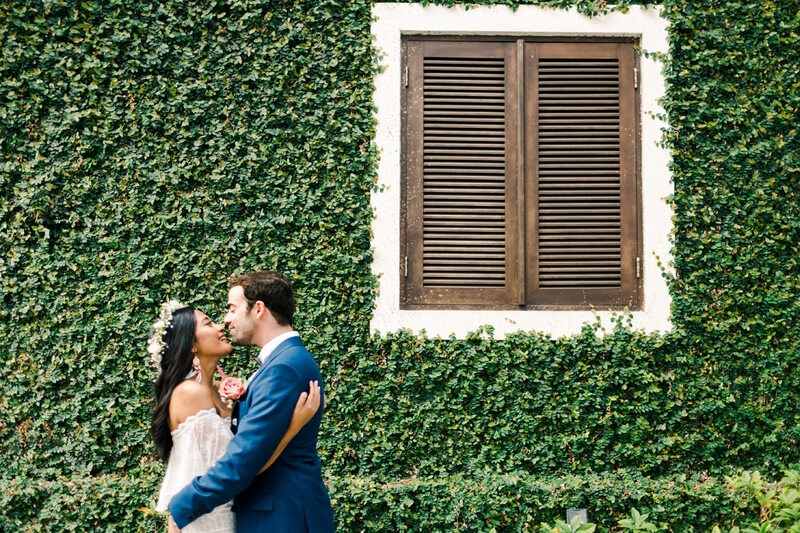 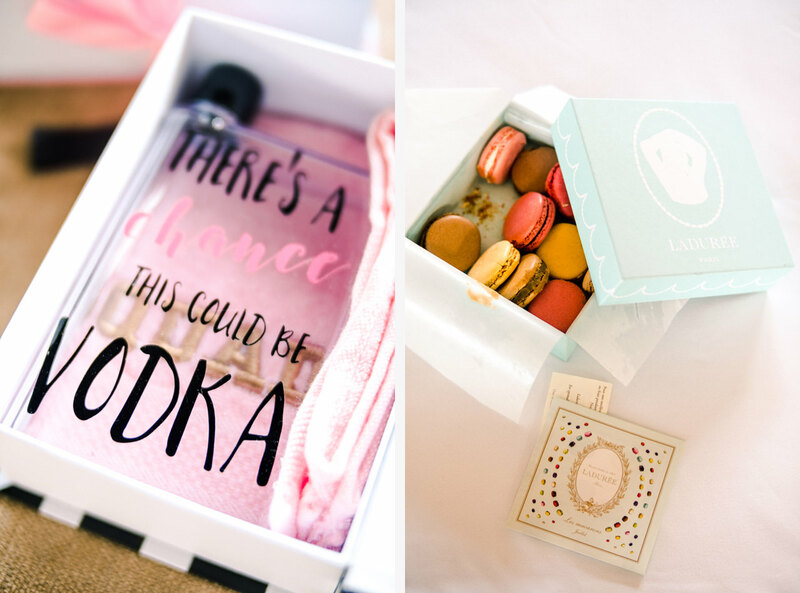 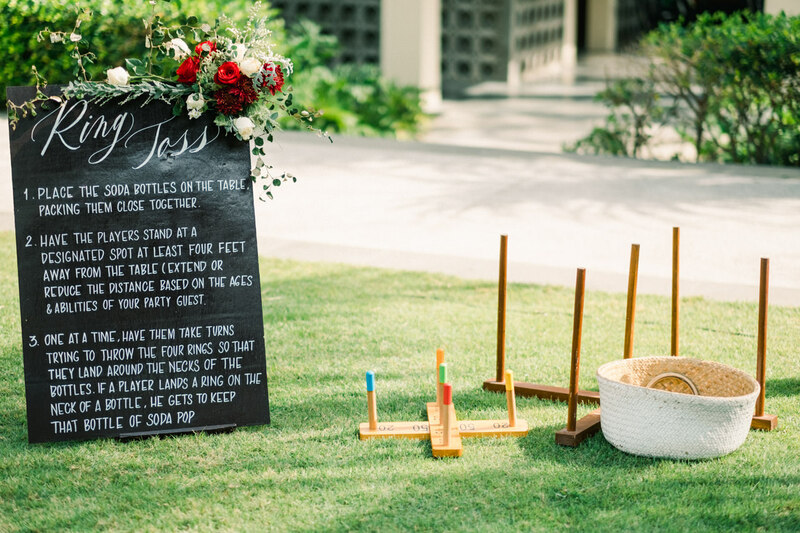 The couple had the sweetest first look around the resort before their ceremony. 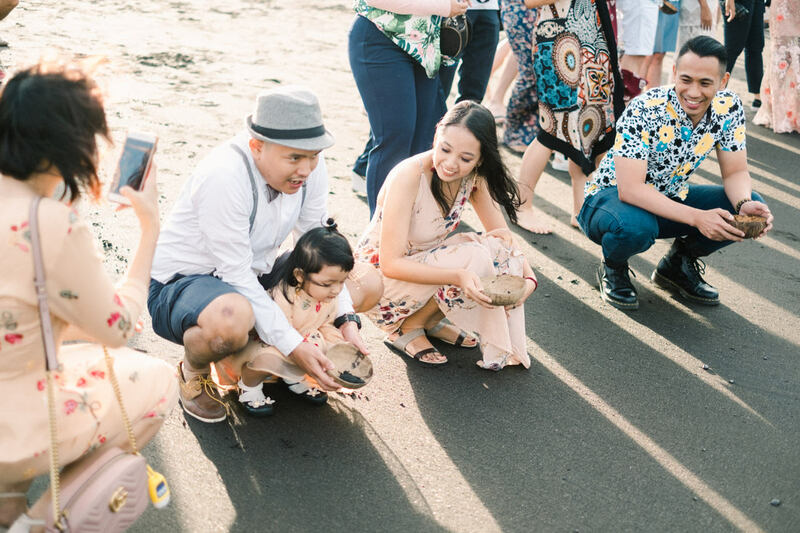 Right after their wedding ceremonies they went to the beach for baby turtles released. 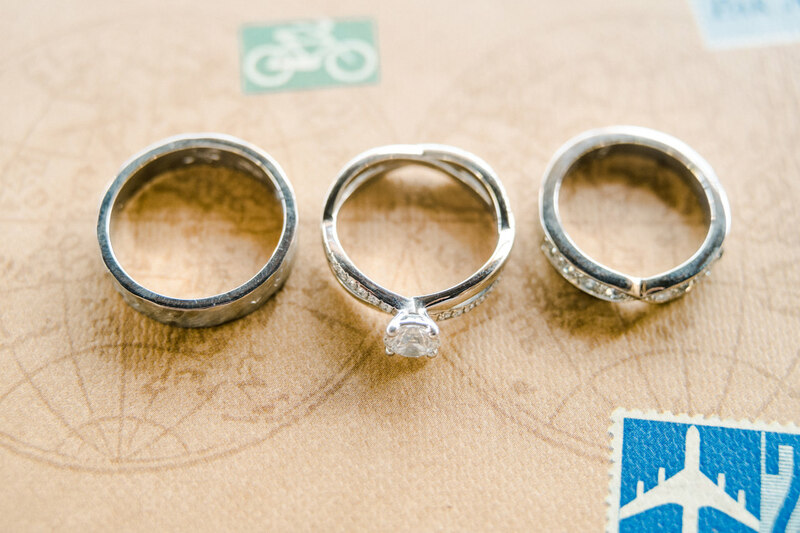 Their reception was very emotional and heartfelt as they’ve been through so many things until this wedding happens. 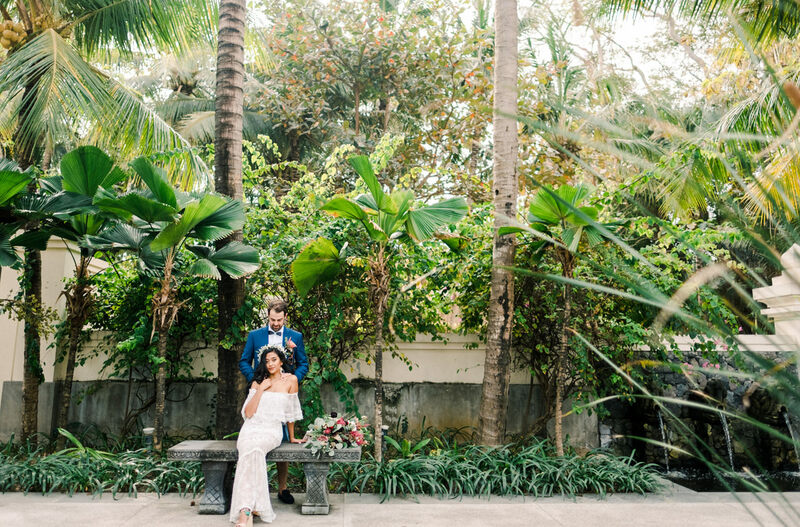 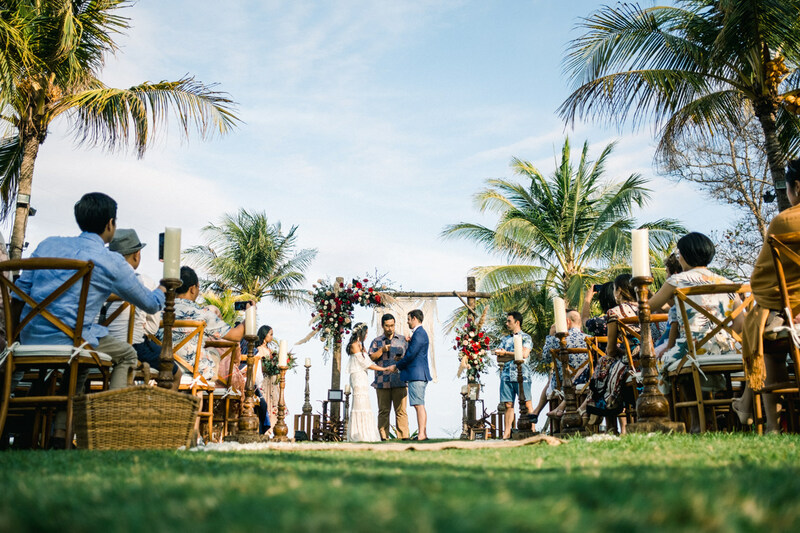 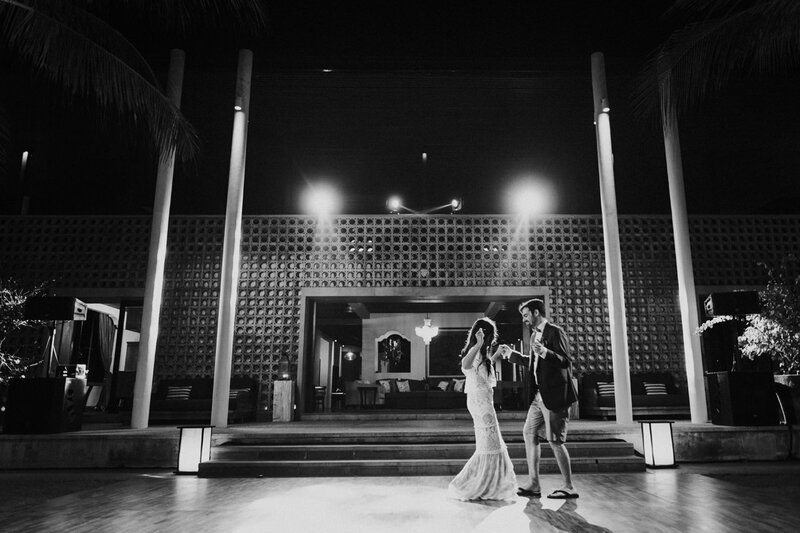 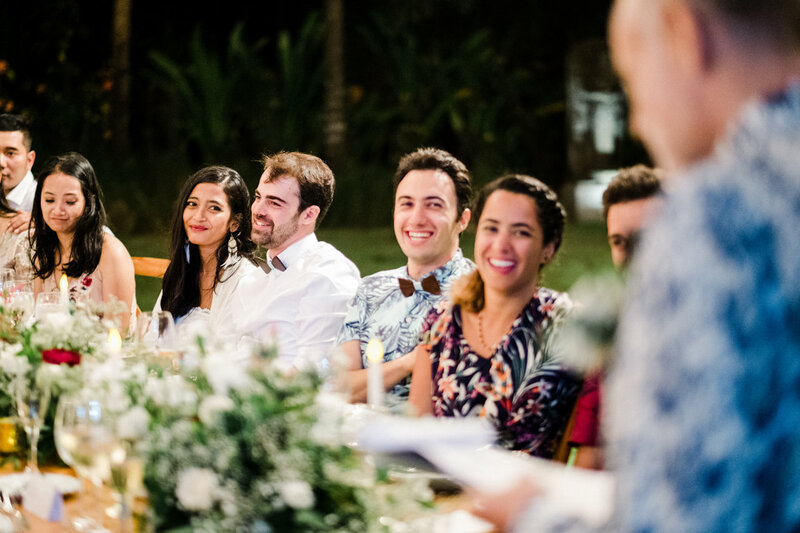 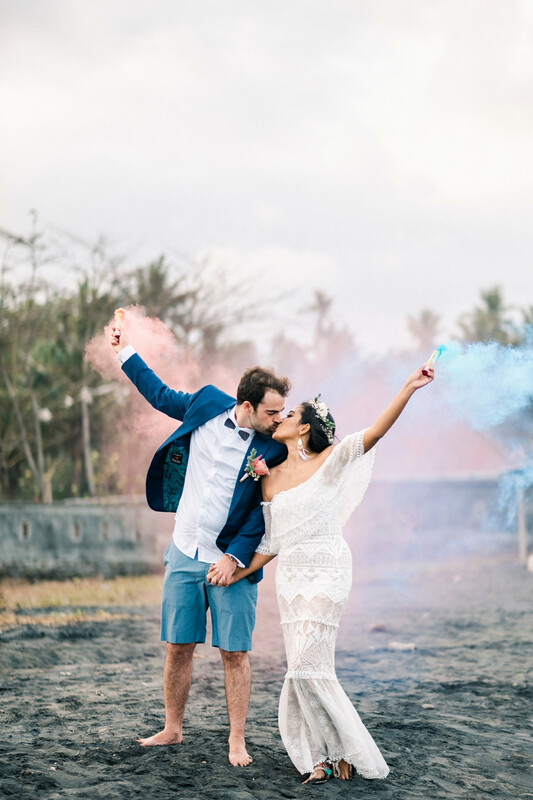 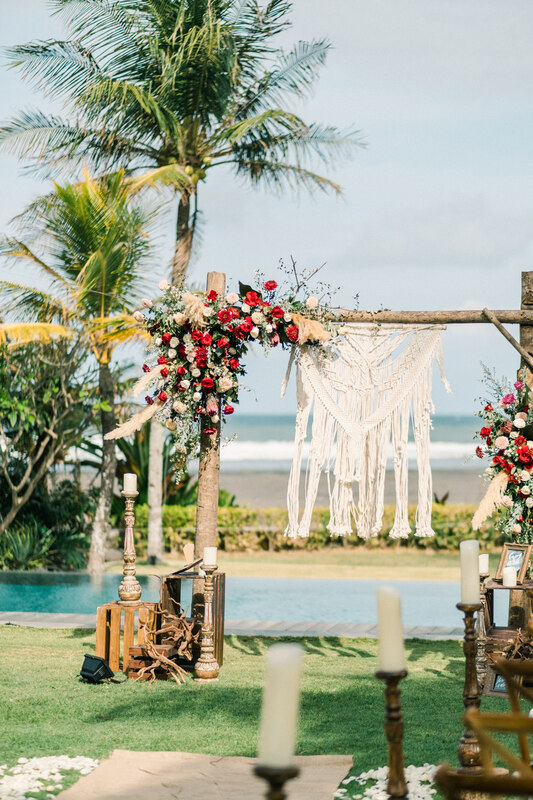 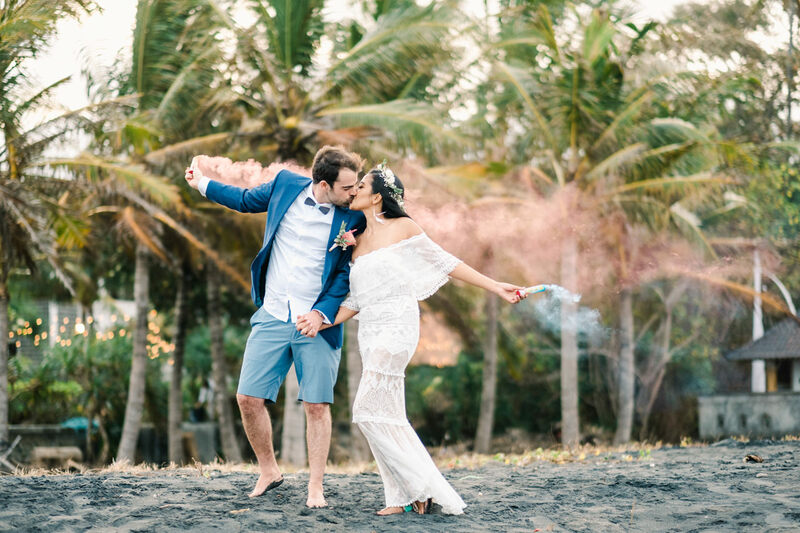 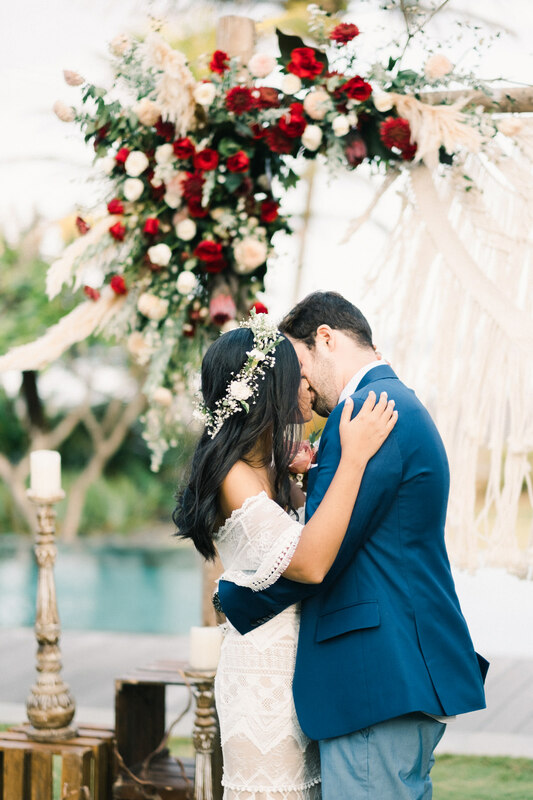 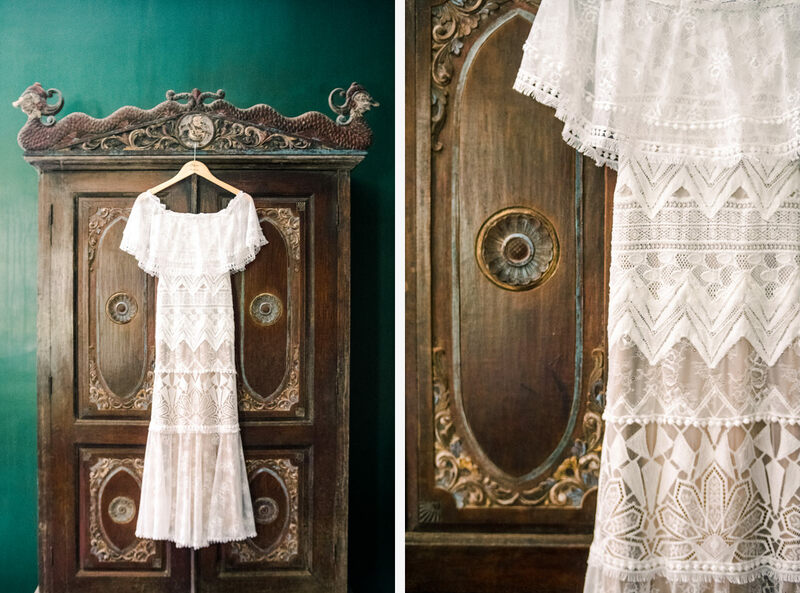 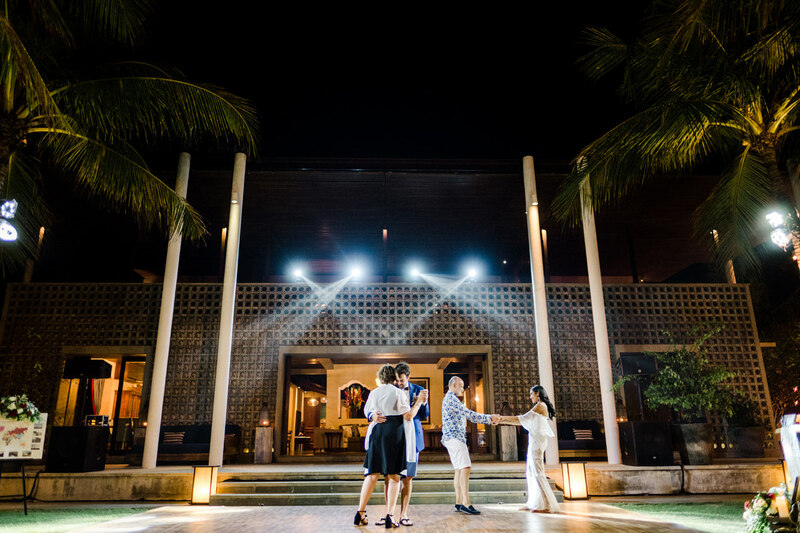 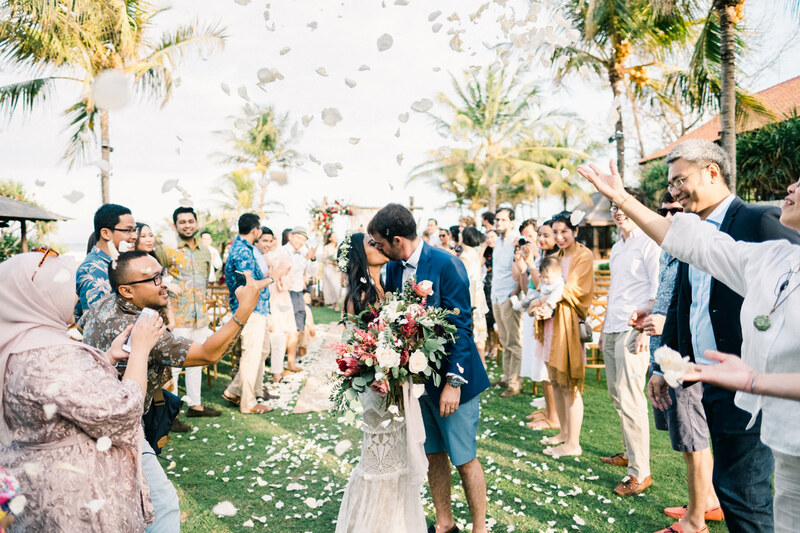 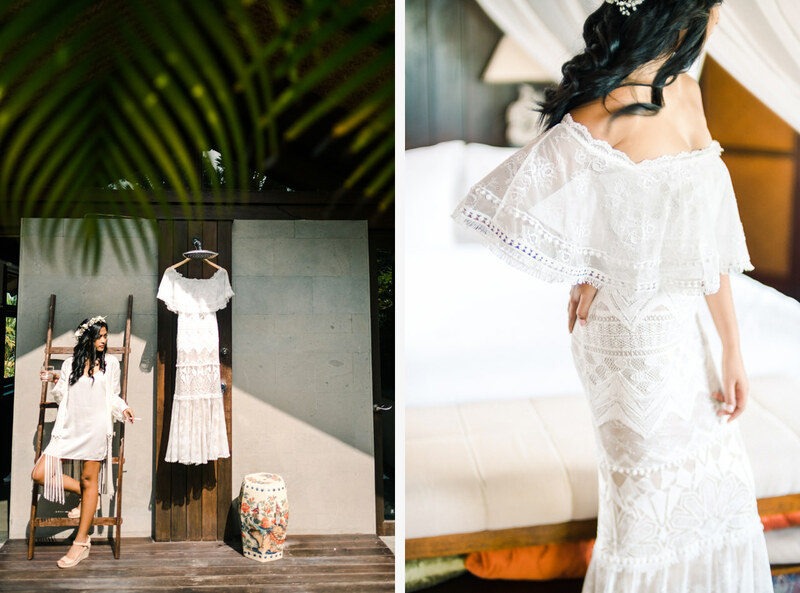 Congratulation once again for your Bohemian Bali Wedding at Jeeva Saba Ghea and Nico!